Things just keep going bad for them but together they face it all and start to make their dreams come true. Meanwhile, they suddenly realize that they quite like each other. In fact, they like each other A LOT. Though this pretty much freaks them out because... dang they are just FRIENDS! There's a sad story with their friends who are already together and so cutely in love, yet something happens to mess them up and... will they get things figured out? And there's a strange landlord lady who seems to pop up in everything they are doing. Why???? It's great as usual. This one didn't MOVE me as much as some others have. It was was more of the fluffy nature that I tend to think they'll all be and then they usually turn out deep. This one stayed pretty fluffy. Lots of fun though. But here's the song that shows a better feeling for this drama. With this song sung by BTOB...ah! Awesome! I didn't realize it was them! Love!!! We went to the launch of this book back in the spring and since book club choose to read it for our Utah Book Month pick, I actually got to it sooner than I probably otherwise would have. So that's something! 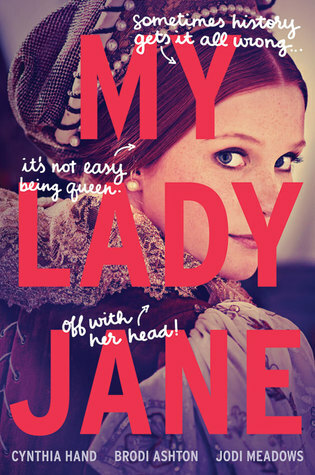 I've always been fascinated by the story of Lady Jane Grey, what a sad and tragic tale! So it was with interest that I read this, wondering how they turned it into a fantasy/comedy. Turns out the premise is that in this alternate world, some people can turn into animals. And some people hate the people that can turn into animals. (Kinda like people back then either hated or identified with Catholicism). So Lady Jane gets married to one of these animal changer people and she thinks it's pretty cool, but it does cause some issues. And then when Edward supposedly dies (yes in this book he doesn't really die) and Mary wants to take over, then Jane and G (which he goes by in this book) have to deal with that. In history it doesn't end well, but in this book.. things turn out much much better! There's a lot of crazy comedy and nods to pop culture like The Princess Bride and Monty Python and other such silly stuff! It was really fun and made for a fast read, all the while a smile on your face! I totally enjoyed it. The romance made me frustrated, but other than that, it was a lot of fun. 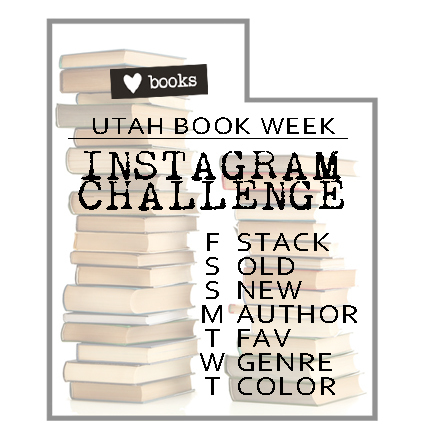 Tomorrow kicks off a week celebrating Utah books and Utah authors! 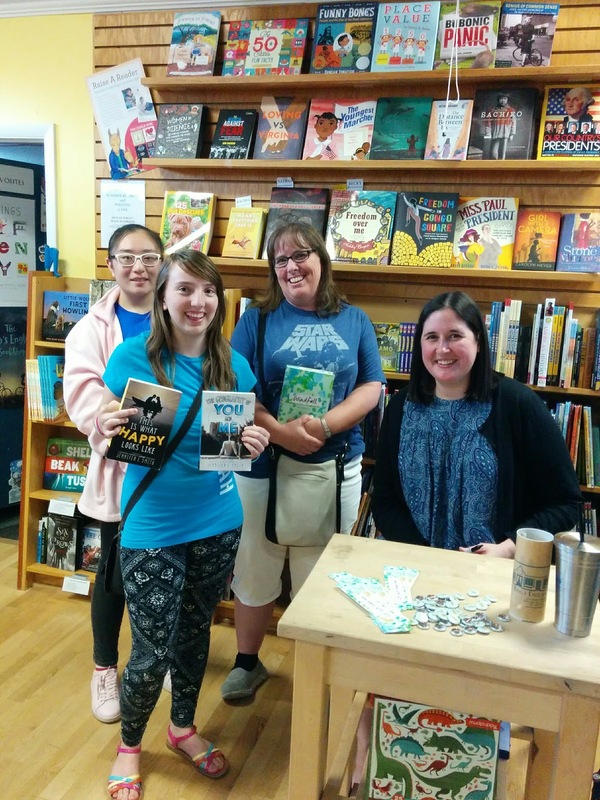 This is the sixth year we've done this event and while it's waned a bit in participation, we still feel just as strongly about supporting our local authors. And there's a lot! We've often said that there's something about Utah. 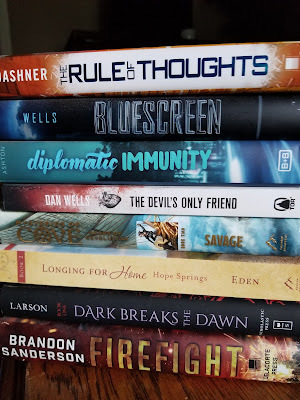 There are authors everywhere... authors who write amazing books! If you'd like to participate, be sure to check out the official blog to see what's being planned. There's an Instagram challenge and a Twitter chat next week, for instance. 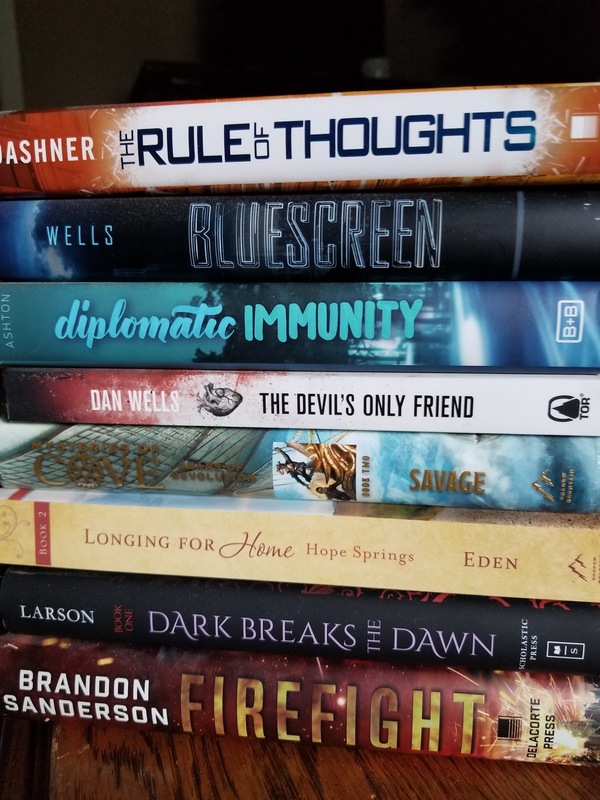 But mostly, read some Utah books and let us know what you think of them! But what I hope to mostly concentrate on is Gem and Dixie by Sara Zarr, which is on my Kindle. So it's been two weeks. And we are still thinking about it. Seeing Monsta X live. Guys. It was awesome. We (Toto and I) arrived on Friday evening, after a tiny little plane ride, and met up with Megs at the airport. In the shuttle ride to the hotel, we discovered the other passenger was also there for Monsta X! Instant bonding!! That evening we walked to a local hamburger joint and that was interesting, but at least we weren't hungry anymore. Then we spent the evening signing the backs of Monsta X pictures that we had printed and planned to pass out at the concert. We had a blast just doing that! The next day we spent the day exploring LA. First we found a laundromat where the kpop group SEVENTEEN filmed a music video. I thought Toto would die of excitement just being at that laundromat! LOL! Then we spent money at our favorite kpop music store, Choice Music. Those guys there are awesome! Then we headed to Santa Monica to hang out and people watch. We thought maybe the Monsta X guys would be there (because in the past for both SHINee and BTS, the band went to Santa Monica the day before the concert!) but after we got there we learned they had just landed at the airport. Oh, well. It was fun to walk around and see the street performers and get pizza. Soon, we got tired and went back to the hotel to hang out and do some reactions for the channel together. You can see all that in this video if you want the visual! We heard that people were already lined for the concert on Saturday, but we didn't arrive until the next morning at about 10:00 am. And yes the line was already huge. So we joined the party where we stayed for the next ten hours! We spent the time making friends with everyone, interviewing for the channel, passing out the pictures and basically having a ton of fun. We lucked out and ended up in the shade much of the day, so yay for that. I think I might have died otherwise. It was hot!! Because of our ticket status, we were able to bypass much of the line and get ahead of most of the other GA people Yay for that too! And finally, they let us in! We ended up with a pretty good spot in the pit on the floor, where we stood for the next nearly hour before the concert actually started. That was the hardest part of the whole day. But finally it started! And for two and a half hours, we totally forgot about hot, and standing and hungry. Just sang and danced and laughed and screamed. A lot! They were so awesome. So totally lived up to the expectation. We loved every minute. Afterwards, those of us with the high touch (getting to high five the band afterwards) were lined up in this big huge line where we waited again, but not for long. Pretty soon that line was moving and before we knew it, it was our turn to file past the boys and high five them! It was so fast! And so frustrating. But also so worth it! It was basically an opportunity to just see them up close, grab their hand for a split second and say thank you. Ah. Yeah. We did that. Back at the hotel, it took us two more hours (until 2:00 am) to calm down and go to sleep. And then the next morning we headed back to the airport... waited again for a long time... and finally got home! And then we thought about the concert and relived it for days. 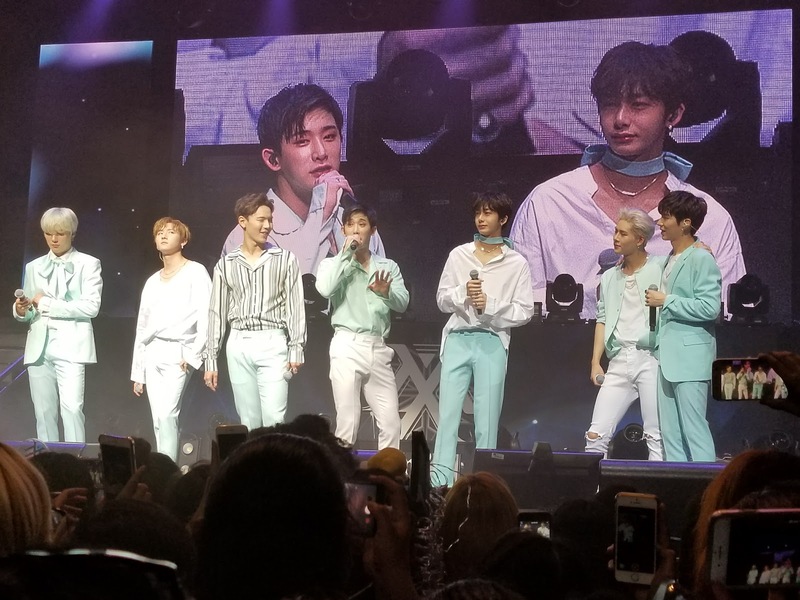 Here's the video we made of the concert and the high touch (well, audio of the high touch) and at the end, you'll see a lovely slide show of the awesome still shots. Guys, we were so close! So yeah. These guys. They are for sure one of our favorites. I hope we can see them again sometime! 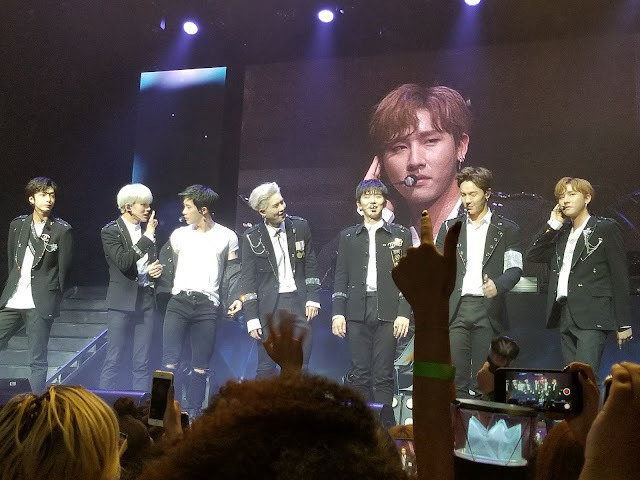 Up next for our kpop adventure: KCON... we'll be heading back to LA in two weeks! AH!!!! This is the last drama our favorite Chang Wook will be in before he leaves to do his military service. In fact, I think he'll be leaving in a just a few days/weeks from now. Sadness. And, he was amazing and fun and awesome in this one just like in all the others! He plays an prosecuting attorney who is struggling to prove himself. 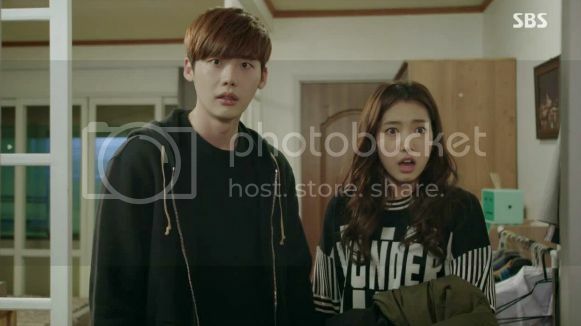 One day he happens to meet a crazy girl who he helps out in a strange situation and plans to never see again, but then she suddenly ends up being accused of murder and he happens to be prosecuting her. Well. And so, I can't really tell you what happens from there, but their paths continue to cross again and again. She is pretty smitten with him (because of course who wouldn't be) but he thinks she is just plain annoying. But, murders continue to happen and they decide that together, they are going to solve all these cases. And she ends up working for him because he starts his own practice (she's a defense attorney of course!) and then when she loses her place of abode, he lets her live at his place. Yeah. Then things start to get a little tense! More of the boyfriend look now. Oh, and she defends a dude who is so freaking creepy! And it turns out he suddenly becomes important in all those cases they are investigating. And then... things really get interesting. Dong Ha plays the creepy (but awesome) villain. Such a fun show... all the way around. For the romantic chemistry and banter. For the most awesome creepy villain who blew me away with his acting and caused a ton of suspense. For the sad back stories. For the fun quirky side characters. For the tragic side stories. All of it. Most of all though, it's the best because of Ji Chang Wook, who I've raved on and on about before. But yeah. He knows his stuff. And he knows how to be a leading romantic dude like no other. He's just, pretty perfect. This one appears light on the face of it, but like most dramas, the deep stuff gets pretty deep and the suspense and edge of your seat-ness of the story comes up and gets you from no where. I love it. We got to meet this author awhile back, and I've loved everything I've read by her. So I decided it's time to catch up on all the ones I've missed. This one was first up! Sadly, this one made me...sad. 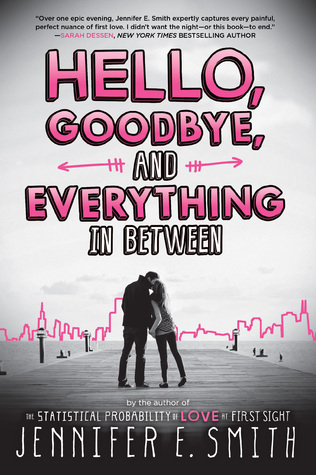 Because the premise of this one, instead of the story of blossoming new romance, this is one of breaking up. Our characters are happily together on page one. But it's their last night before they have to part for college the next day, and so we go with them through that crazy night as they relive their relationship, and decide how best to proceed from here. The girl thinks it's best to go their separate ways. The boy is all, why??? And so they disagree and have to discuss over and over again what they should do. It was... sad. You know? And it was about all their stress going away to college. Which, especially for me right now (no, I'm not going to college but my youngest kid is!) and so that just... made me... sad. Sigh. But.. the engaging writing and interesting characters were as expected! And so, I will go on to the next one in the stack...which is The Geography of You and Me. Is this one about traveling? If so, we're good. Meeting Jennifer E. Smith back in May. So here's one that Megs, my also kdrama inflicted sister, told me about WAY in the beginning, but I just now finally got to. And I'm so sad I waited so long! This is now one of my favorites! What an interesting thought provoking beautiful story. The premise, (and the fantasy element mentioned above) is that people in this otherwise normal world, can't lie because when they do, they hiccup and give themselves away. They have what is called the Pinocchio Syndrome. And our leading lady is inflicted. So first of all, this makes the romance interesting because she, you know, can't lie to him. And can't say that no, she doesn't like him when in fact she totally does. I LOVE this! It makes everyone have to deal with stuff then and there instead of just mess around! The story starts when our leading man is a young boy and his fire fighting father dies in a big terrible fire. And then is framed for it and blamed as the cause. By a Pinocchio who can't lie, and thus the world takes his word for the truth. This event destroys our poor boy's family and he ends up an orphan basically, and is taken in by a loving kind old grandpa (ah... PINOCCHIO/GEPETTO!! IT JUST HIT ME!) And this grandpa raises him. Well, the grandpa's older son also comes to live with him, as does that son's daughter. So the boy and girl are raised together like family. Our characters when they are in high school. Grown up and trying to be good reporters! And it's about revenge. And about forgiveness. And redemption. And...love and family... and so may wonderful beautiful things. I got teary so many times during this one! So many! Which is a good thing because you know it's moving and heart wrenching! Yes. It is. The grandpa is one of my all time favorite characters. The leading guy is one of my favorites. He's a guy who, I've decided, has to sort of grow on you, but dang, once he does, he is set. His acting so amazing. I just, I'm just always blown away. And the girl is one of Korea's favorite leading girls too and I've seen her now in several dramas and she's also always spot on. Anyway. Mark it down for one of the best ones! I can't find a good trailer for it but here's the sappy song with sappy clips one that I love so much! This book has been on my radar forever I think. Years at least. Finally got to it thanks to book club. This author is local and I've been to a few of her classes at conferences which has made me curious as to what sort of book she writes. So here's what I think. 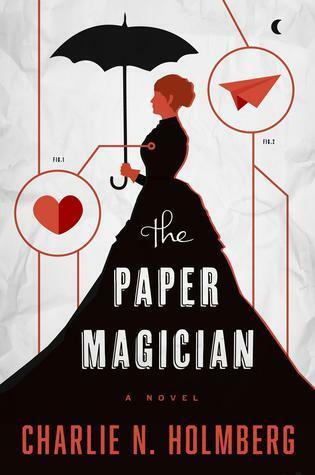 This one is about a girl who has just graduated from a magic sort of high school and instead of getting picked to do the magic she wants to do, she ends up paired with the dude who does paper magic. Which I guess is boring and disappointing. Well, so she decides to just deal with it and begins to learn some pretty cool folding techniques. (I decided I do paper magic at my work. Dang, but I fold a lot!!!) And she also decides that the magician teaching her is not so bad after all. In fact, he's kinda cool. But then a bad lady from his past comes and steals his heart and she (our heroine) has to go rescue the heart and in the process, she finds herself immersed in this guy's life. And she learns so much about him that she, you know, decides she loves him! So, I enjoyed the premise, even more than I thought I would. But the story fell a bit flat for me. I wanted the romance to be developed (cause it wasn't AT ALL developed) and there just to be MORE to it. I know the book club peeps didn't enjoy the learning what's in the guy's heart bit, but I thought that part was not bad. That was the main juice of the story... learning about the magician. It wasn't about the girl, but about him. The writing itself was good, fine, lovely. Nothing to complain about there. Especially consider this is a first book. But that is also why I think it had a few problems. It was a really short book and I think we all agreed that had it been longer and meatier, we would have all enjoyed it more.